Broadwell and Skylake to launch at the same time? Broadwell and Skylake to Coexist? Broadwell and Skylake to Coexist on the Market? Now with the Haswell-E prices confirmed, we have a look further into Intel's future lineup. Now we have a lot more information on Broadwell, Skylake and Intel's 100 series motherboards. We will start off with Intel's Latest Roadmap which shows Broadwell and Skylake-S releasing at the same time. From all information we can find we know that Intel will be releasing Broadwell-K series CPU at the same time as Skylake-K, or non-overclocking series Processors. When these CPUs will come to market is unclear, all we know is that they will come sometime in Q2. Both these CPUs will use Intel's 14nm process and Skylake will use Intel's 100 seriews chipsets with Broadwell using Intel's existing 9-series chipset. Skylake will have the ability to use DDR4 memory, but also use older DDR3 memory. This will make the motherboard manufacturers a little nervous as they will have make motherboards that support each standard. The price will likely remain high until there is higher demand/production so DDR4 support may not be the selling point it sounds like. One key change Skylake will bring is removing the FIVR (Full Integrated Voltage Regulator) off the CPU die and back onto the motherboard, which will decrease the CPU temperatures a bit. As said previously Skylake will launch without a K-series product, so it can be easily said that it is intended for business users and other non-overclockers. Above we can also see the SATA and PCI configurations of the upcoming 100-series linup, notice that even the budget h150 chipset can have advanced features like SATA express and a reasonable amount of USB 3.0 ports. Apart from the changes in the FIVR, Intel is also changing their naming scheme for their motherboards. Notice how we are calling it the 100-sereis and not the 10-series. In essence all that changes really is that the 7 in what would have been z107 turns into 70, creating a Z170 motherboard. A simple and easy to remember change. You can see all the name changes below. Join the discussion about Broadwell and Skylake on the OC3D forums. It is a shame we will have to wait so long for broadwell. it is also very strange to see Broadwell and Skylake at the same time. I need to read more into this and find out why. Pretty much, It seems it got to the stage for intel that it was better to almost skip Broadwell rather than release it fully. 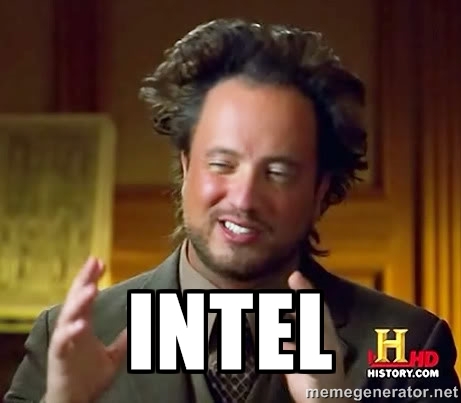 Especially because Intel just made the Z97 series of motherboards and they require a properly new CPU to use it. Only releasing the K series to regain some of it's cost back. Then it leaves Skylake-K more time to improve yields etc and gives Intel another chance to grab cash from enthusiasts. I'll write up a main page article on this later, combined with a few more 100 series motherboard details from here.